One of the surprise products of last week's Computex IT show in Taiwan was the Zenbo robot from Asus. The cute, two-wheeled, home-help robot will read stories to kids, summon help for seniors in an emergency, and blast out songs while twirling around the floor to the music. But Asus is better known as a manufacturer of smartphones and laptop PCs. Home-help robots have been tried and failed before, so why did the company decide the time is right? IDG News Service spoke with Jonney Shih, chairman of Asus and the power behind much of the company's product planning and design, to find out more about Zenbo. 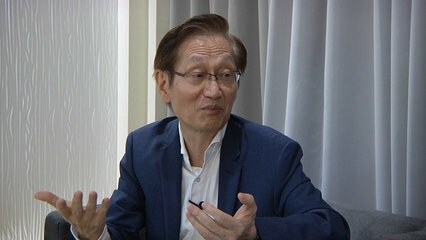 Shih said he saw the robot as an evolution in computing -- something that followed on from the PC era, mobile computing, and the recent so-called Internet of Things. "Up to IoT, I think most of the devices are still passive," he said in an interview at Asus headquarters in Taipei. "I think there should be an animal evolving ... that can move and be more proactive computing." 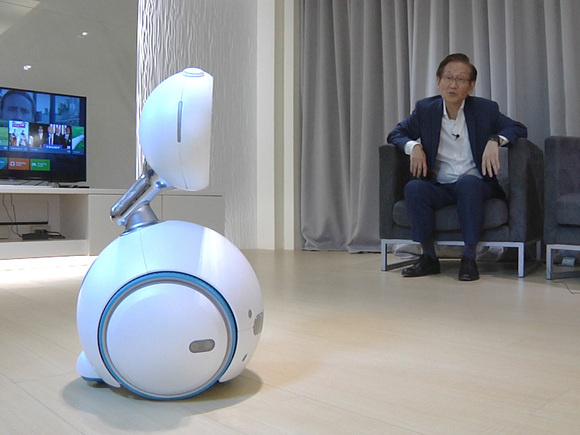 Asus Chairman Jonney Shih looks at the Zenbo robot during a demonstration in Taipei on June 1, 2016. Zenbo is Asus' first attempt at building that. "I think this is the right time, that's why we spent a lot of effort," he said. A core focus of the development work was designing the robot to appear approachable. The Asus Zenbo robot during a demonstration in Taipei on May 31, 2016. 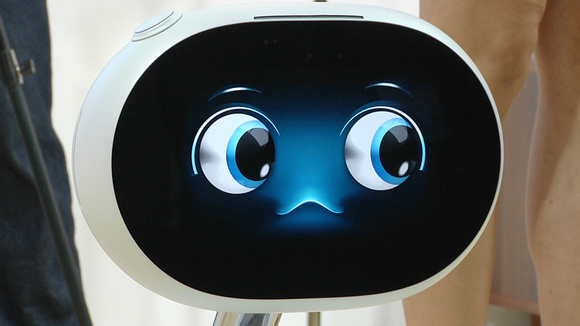 That's why its face is a screen that can show a lot more computerized emotion than a traditional robot, he said. It does this through a set of large eyes and an almost perpetual smile that makes Zenbo appear cute. It's a contrast to the Pepper robot from Aldebaran Robotics, which has a fixed face and screen mounted on its chest. 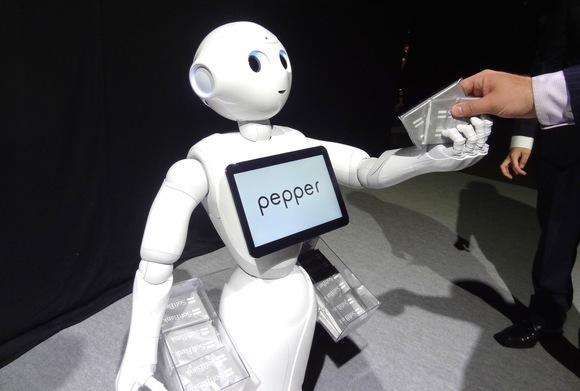 Japanese mobile carrier SoftBank's communications robot Pepper hands out tissues at an event in Tokyo. But even with the best industrial design in the world, the robot won't sell unless it's useful. In coming up with a sample series of apps, Asus has targeted Zenbo toward every member of the family, Shih said. Its features include functions for all age groups. It will read stories and play games with kids; for the elderly it can call family members for help or assistance; and for all members of the family, it can play music, present recipes, answer questions, and control the home's lights and TV. That's a nice start, but Asus really needs to get app developers on board to start playing with the robot and dreaming up numerous other applications. With its launch at Computex, Asus is hoping to attract software development ahead of a planned launch later this year. Zenbo will likely be available only in Taiwan at first, but sales could spread to other countries depending on its success. It will cost around US $599.